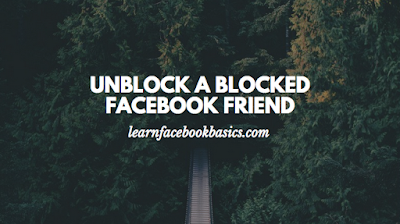 Do you want to know how to unblock a blocked Facebook friend who kept on bothering you? In this article, you'll find out how to unblock your Facebook friends in less than no time. Unblocking your blocked Facebook friends is the best way to get your blocked friends to chat and comment and like your Facebook updates, it’s one of the tricks you can get to play around with on Facebook to get the best out of Facebook.